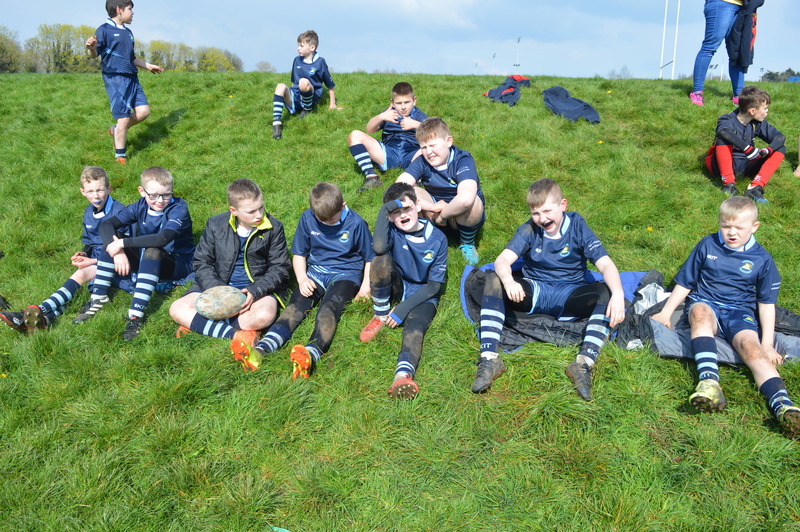 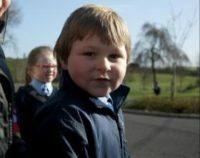 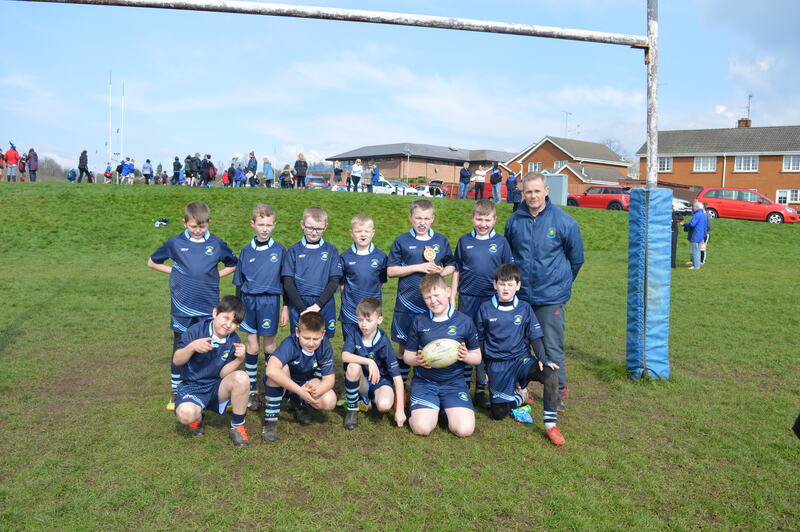 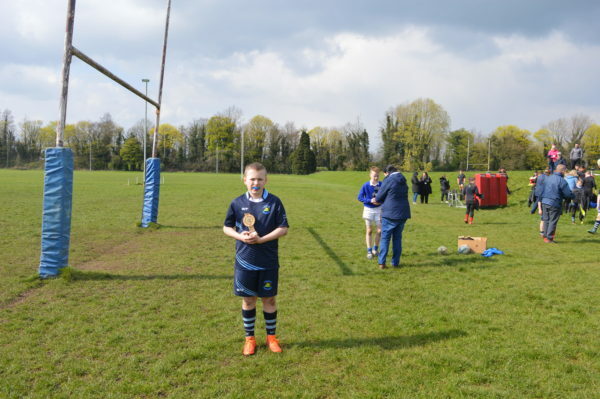 The Shelbourne Mini Rugby Blitz was held on Thursday 4th April 2019 at Portadown Rugby Club. 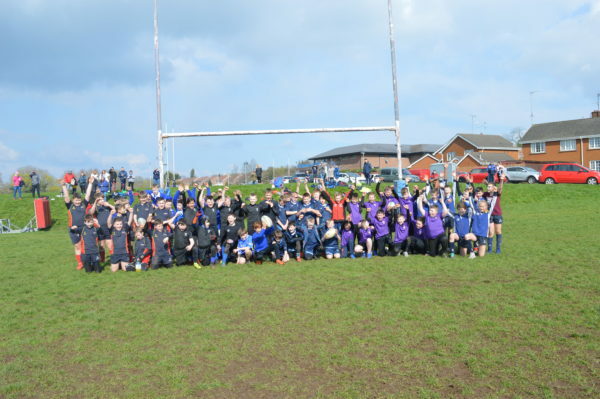 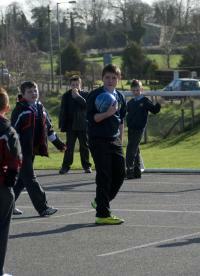 Six schools participated with everyone enjoying lots of running rugby and some superb tries. 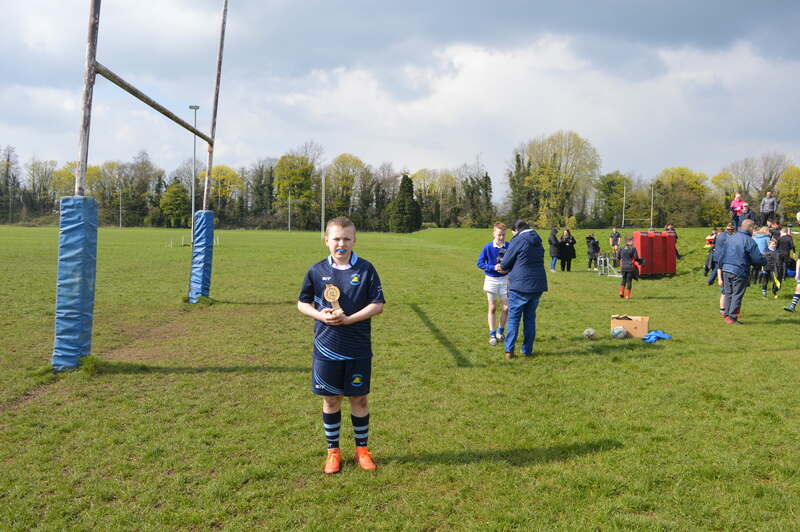 The award for the Most Promising Player went to Billy Graham. 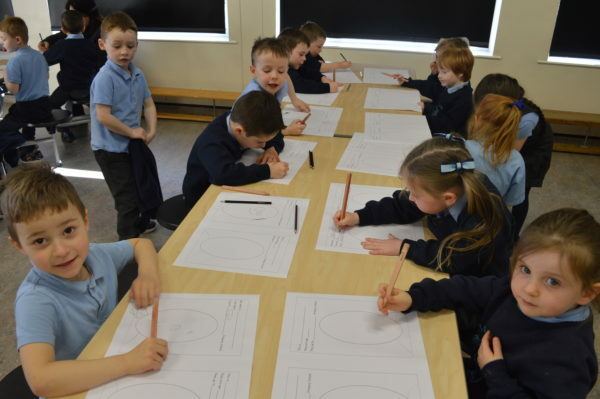 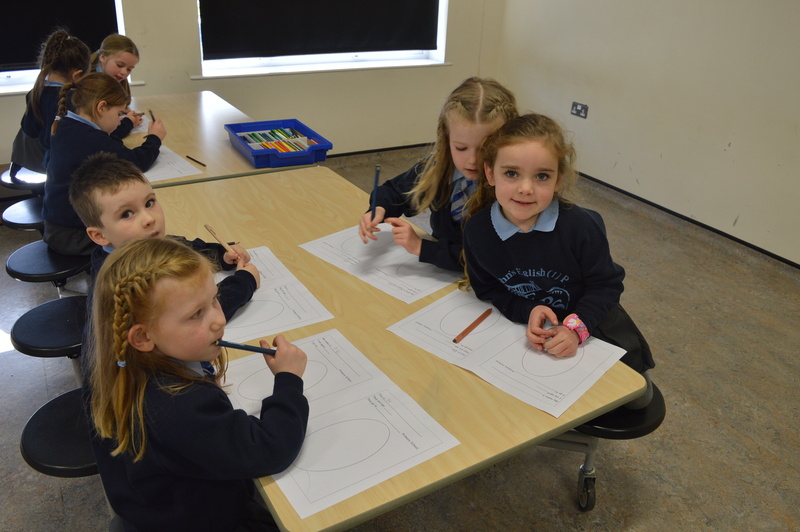 On Tuesday 5th March our P1/2 class along with Mr Clyde and Mrs Black went on Day 2 of their Shared Education Partnership with St John’s PS. 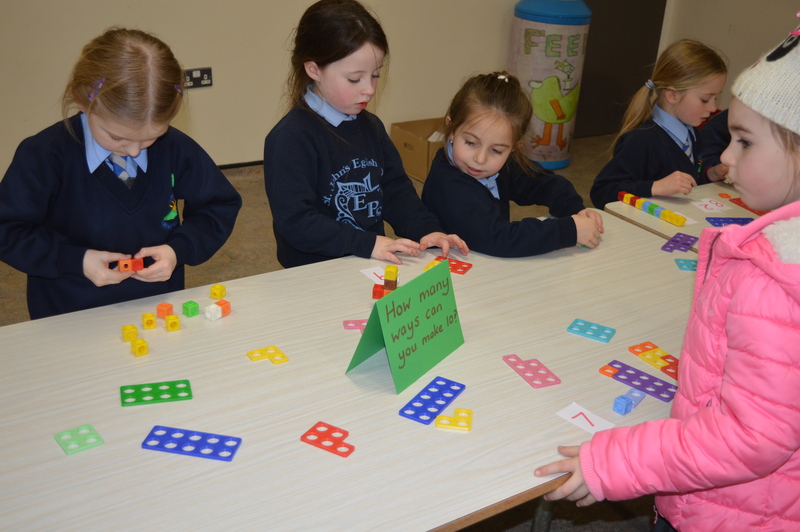 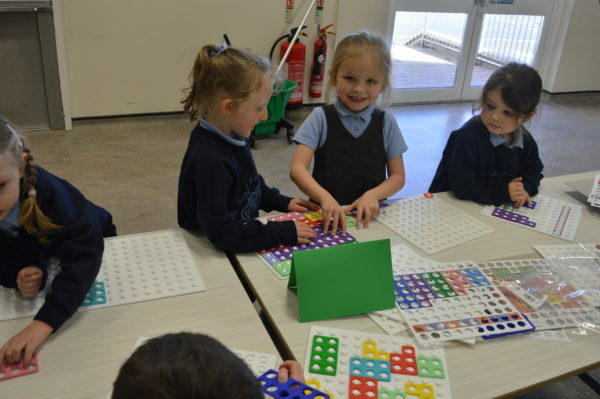 The main focus of the day was an introduction to our new Numicon numeracy resources for use in both schools. 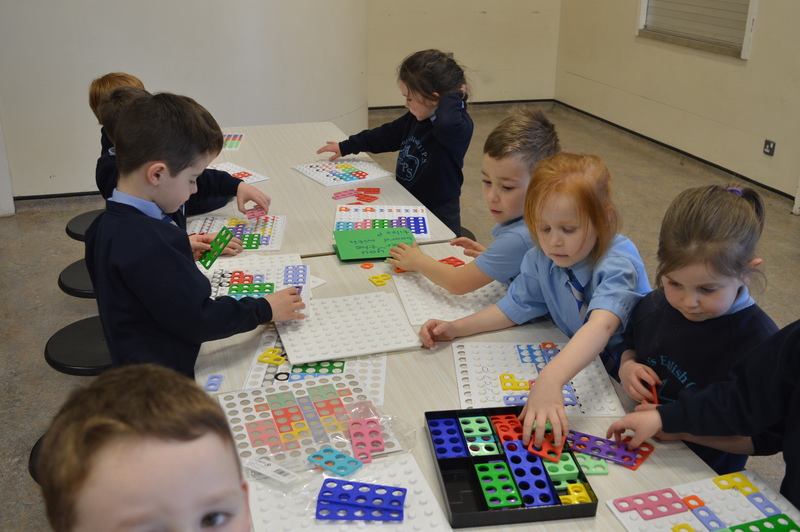 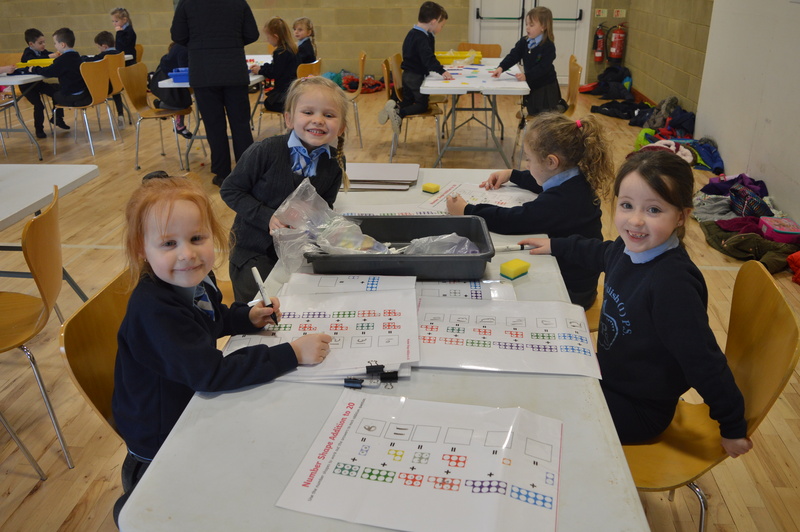 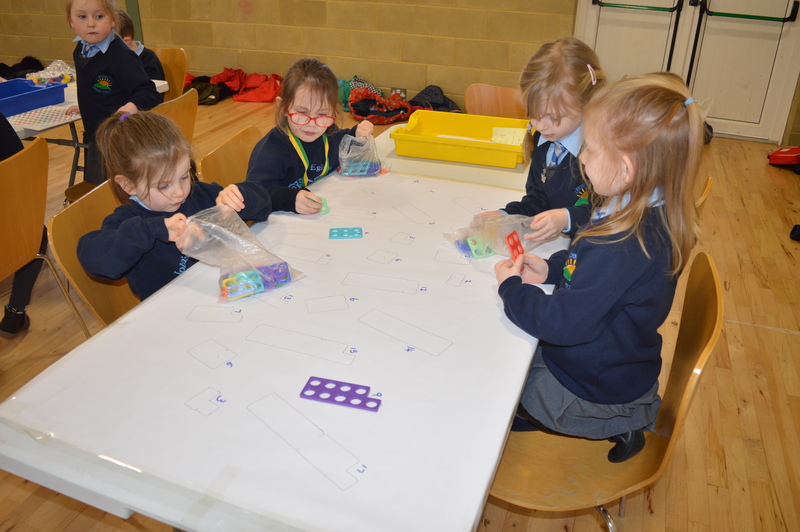 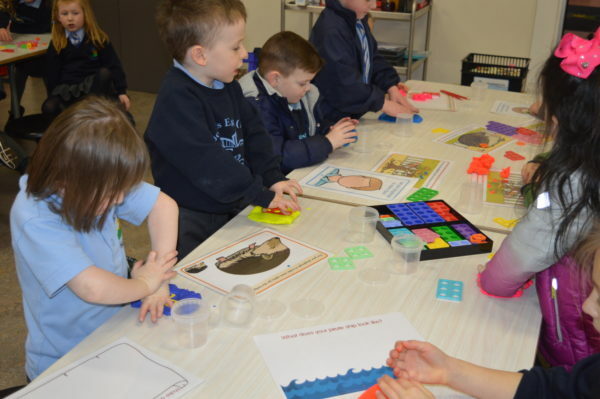 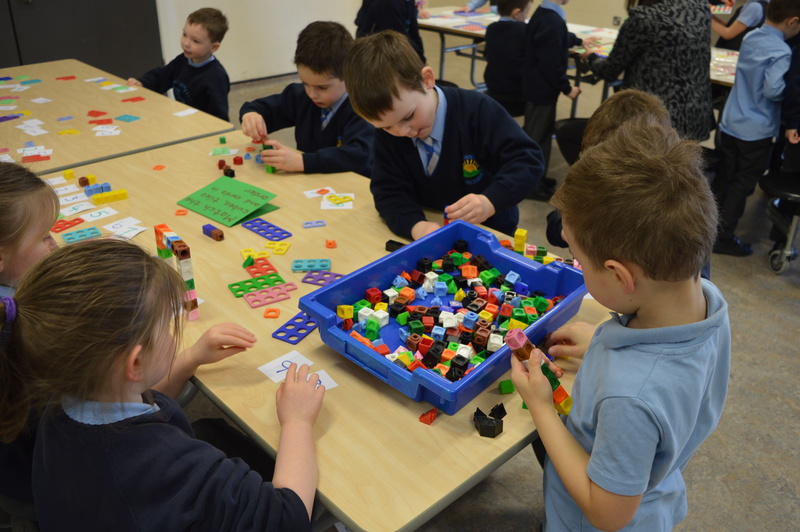 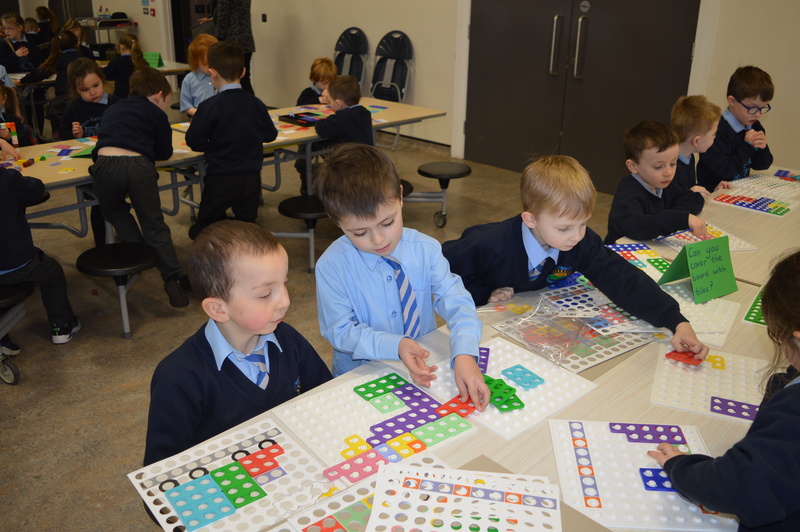 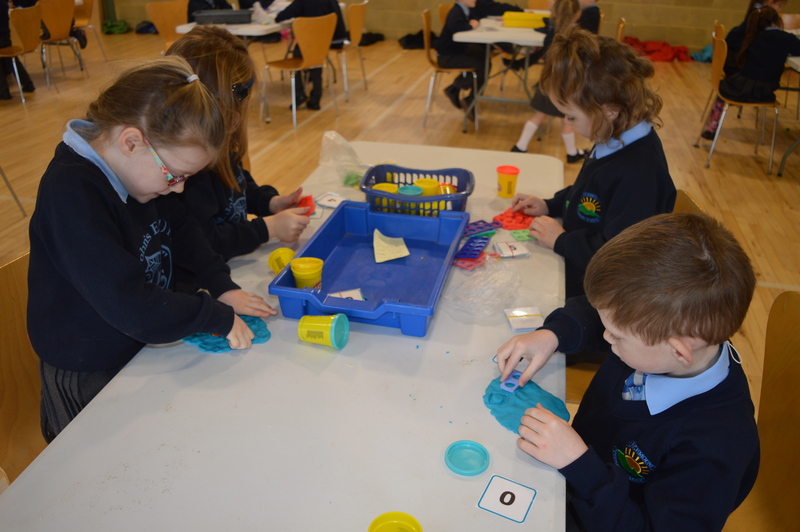 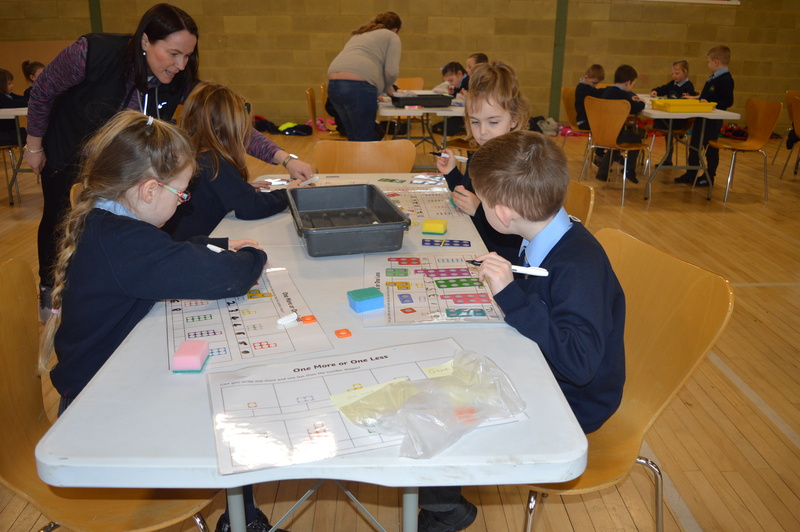 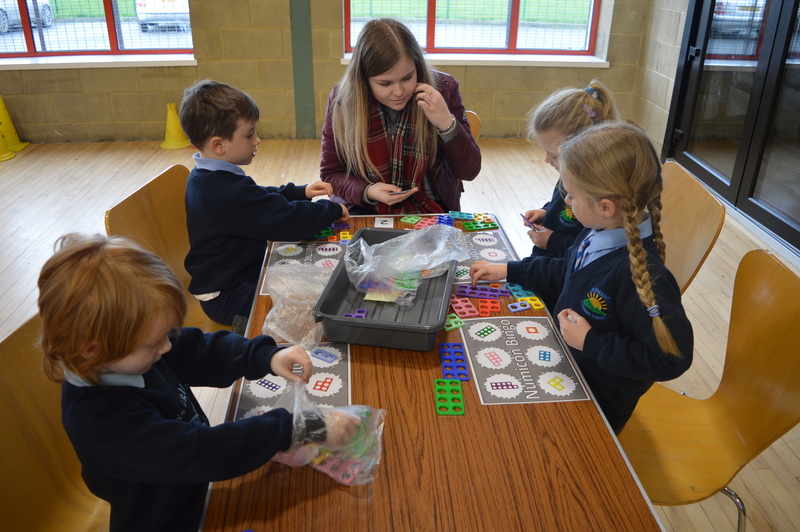 Pupils rotated around 12 stations set up with particular tasks to complete using Numicon. 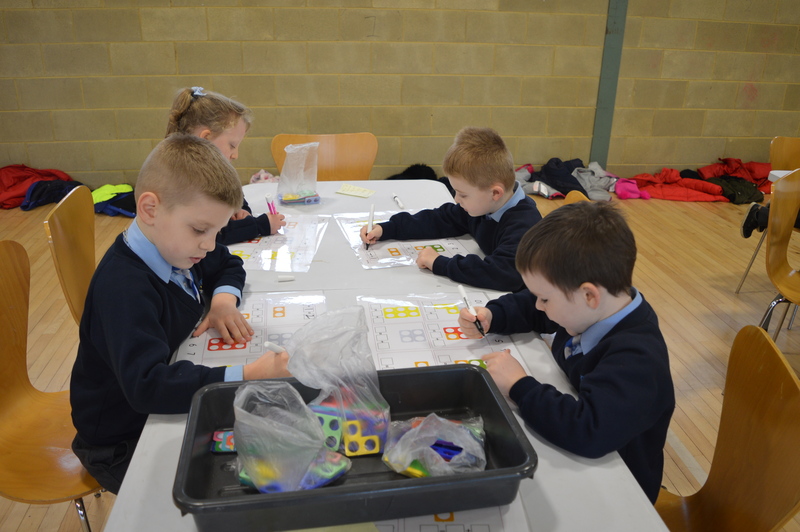 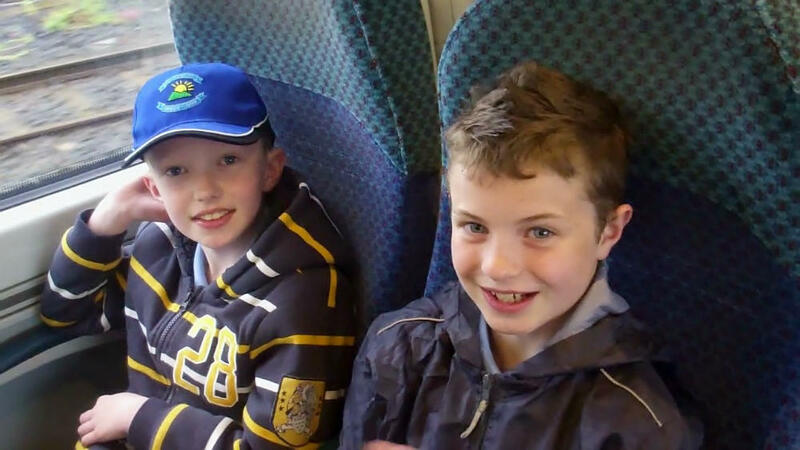 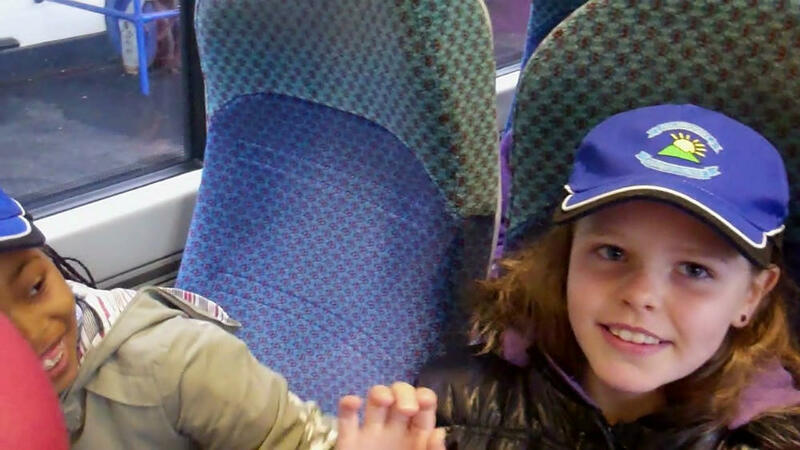 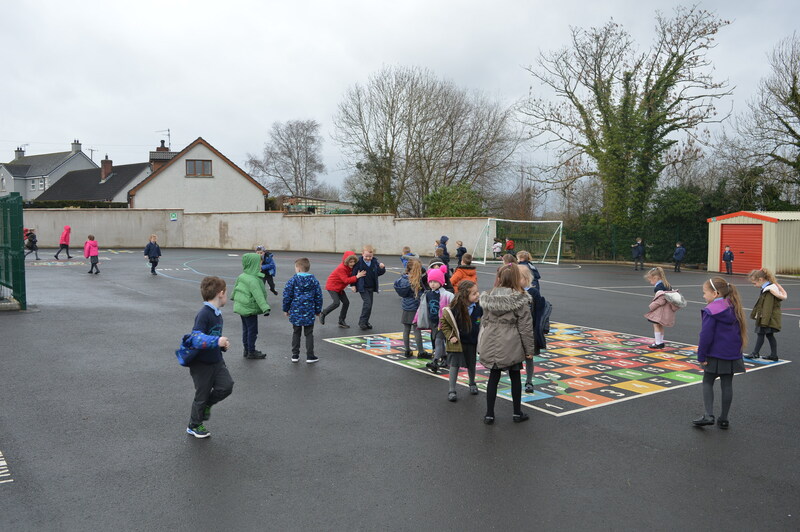 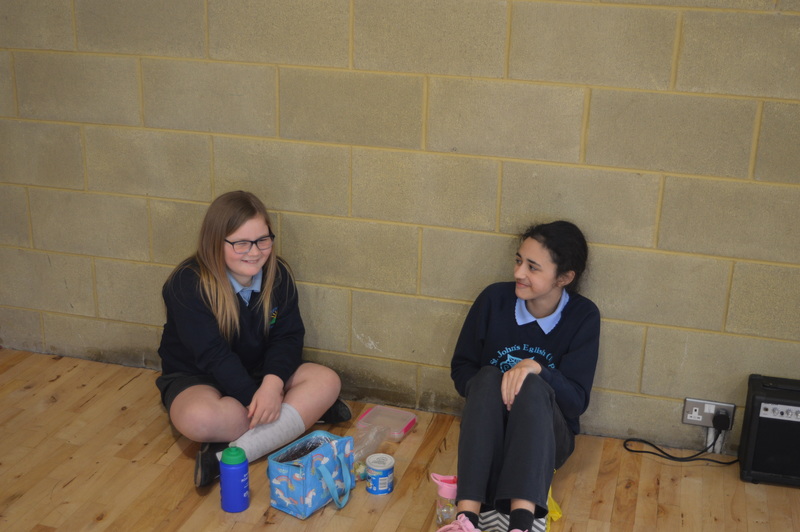 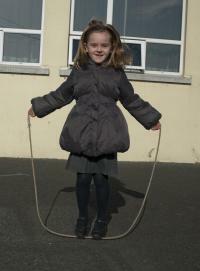 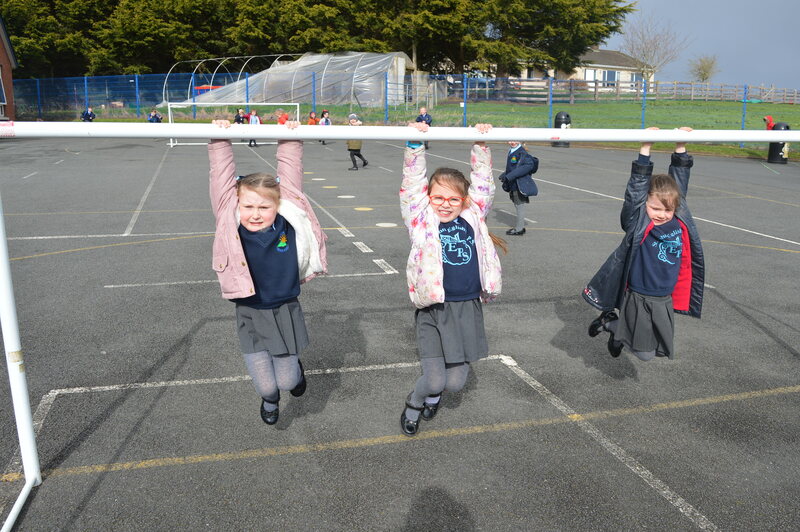 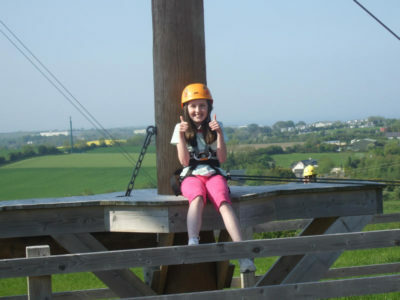 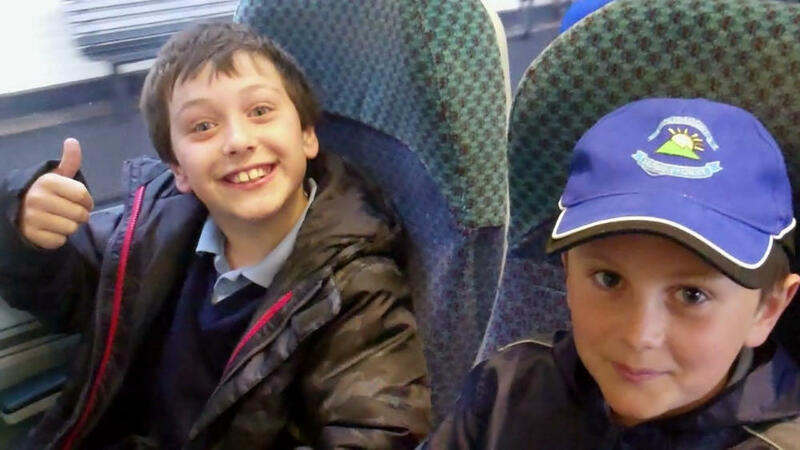 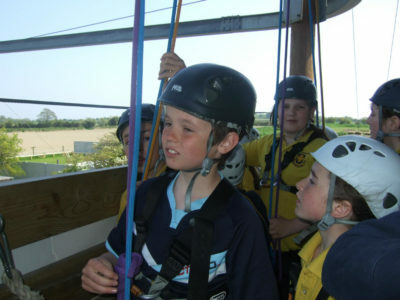 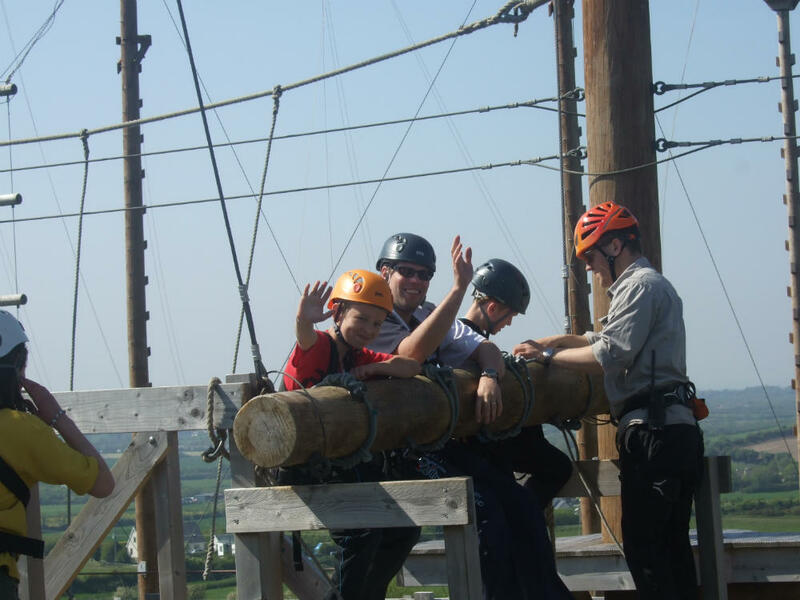 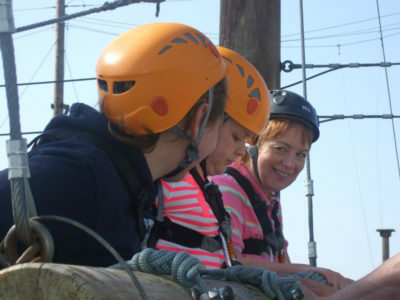 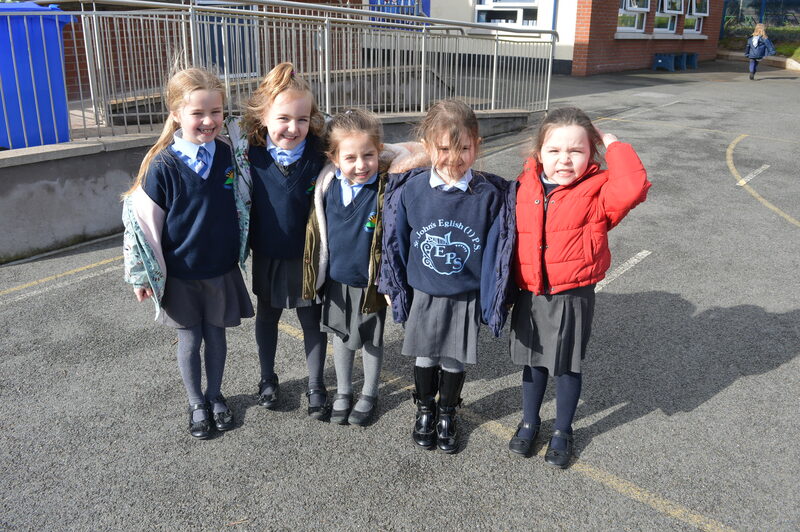 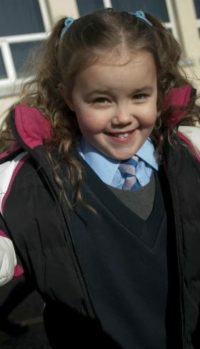 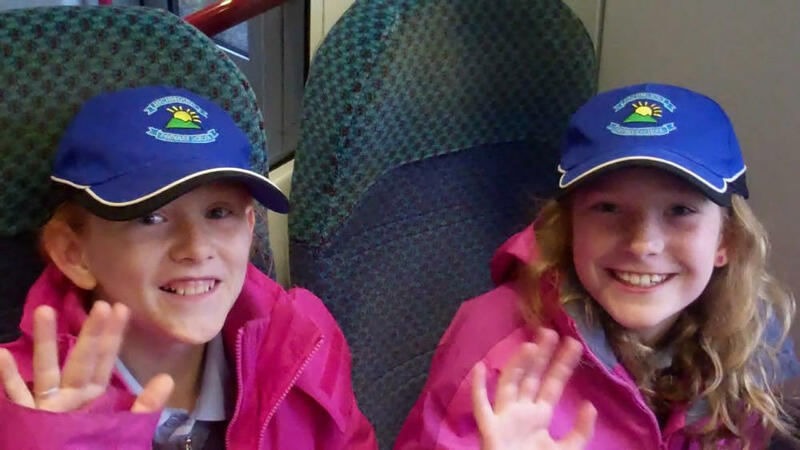 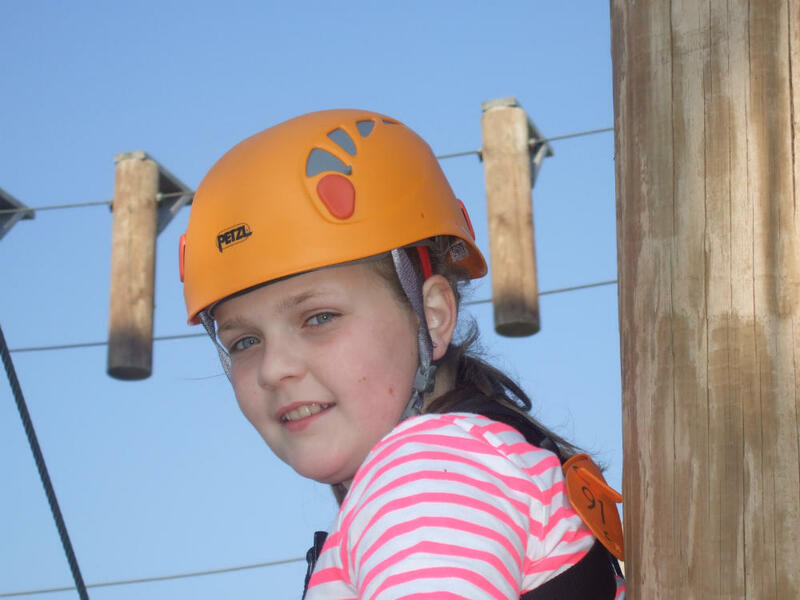 The pupils had fun interacting with their new friends! 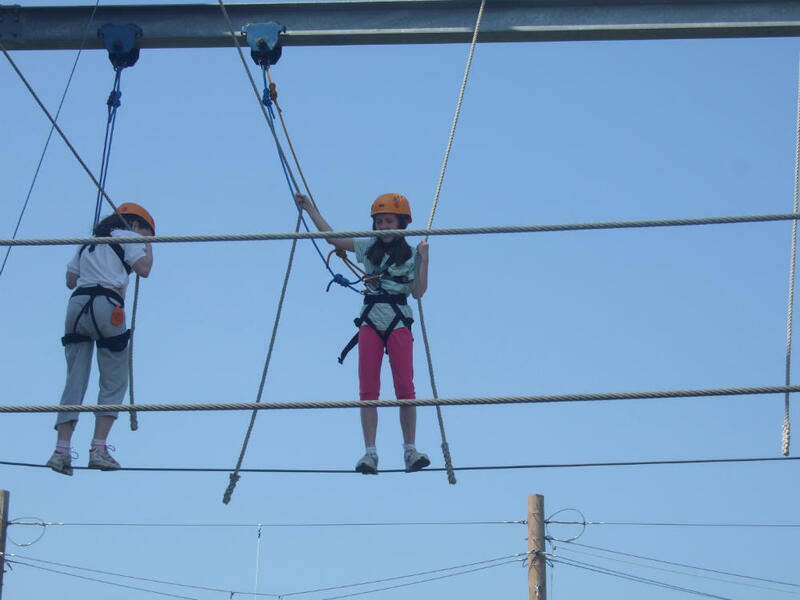 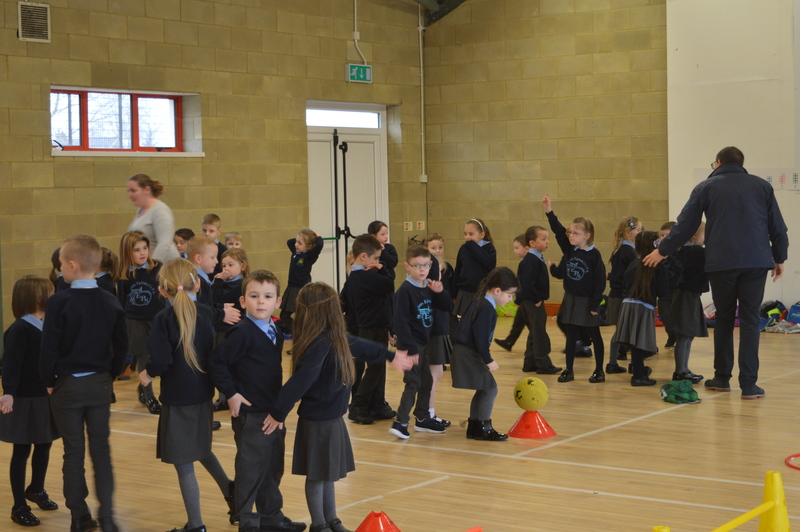 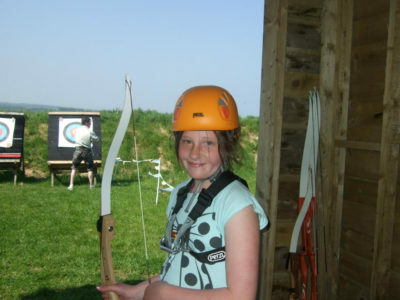 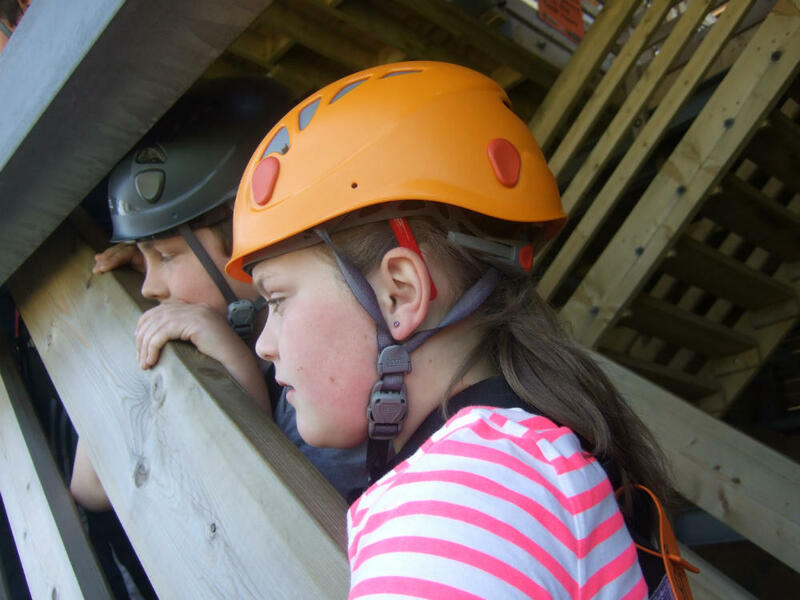 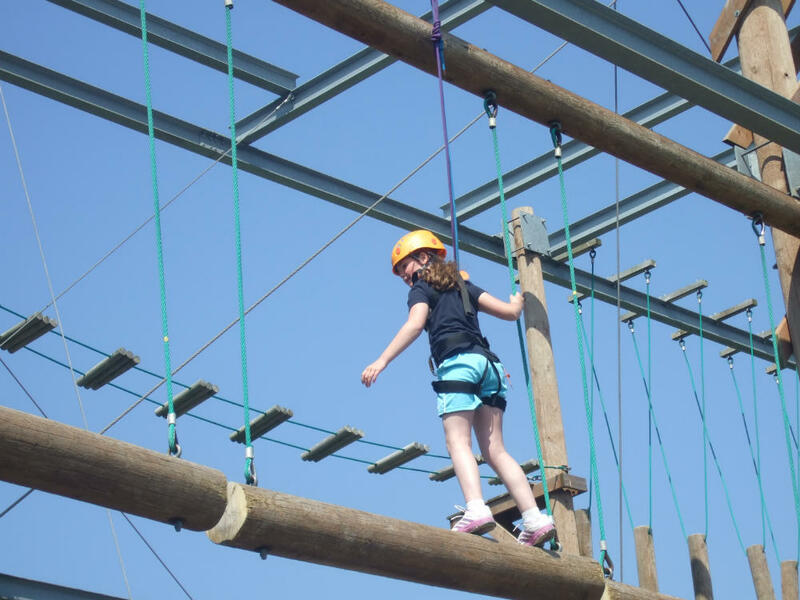 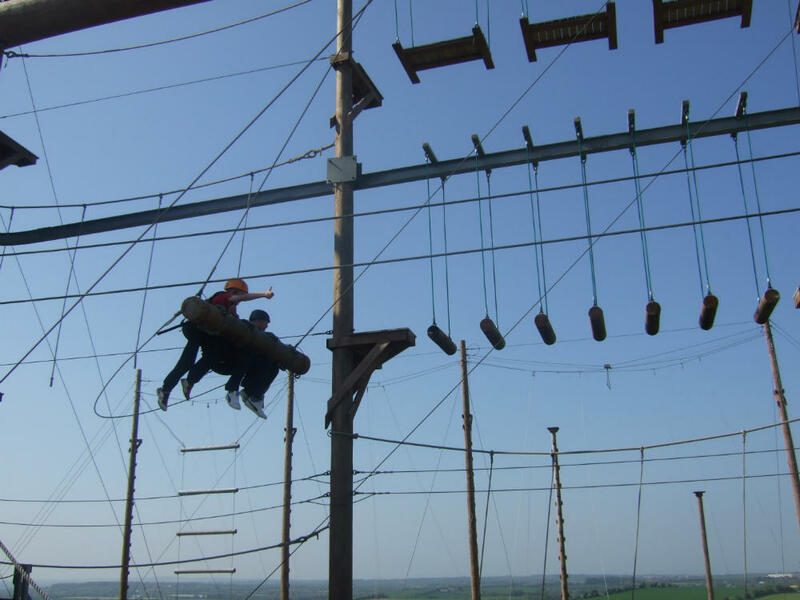 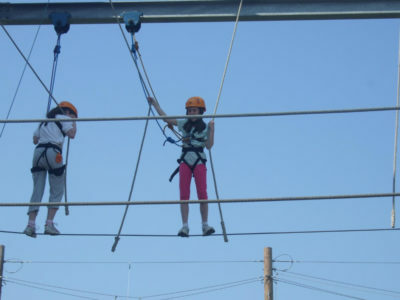 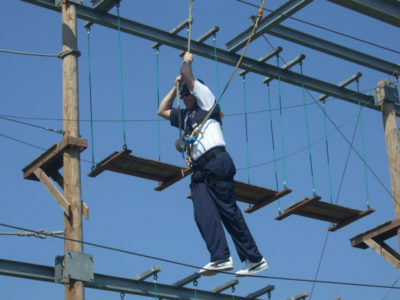 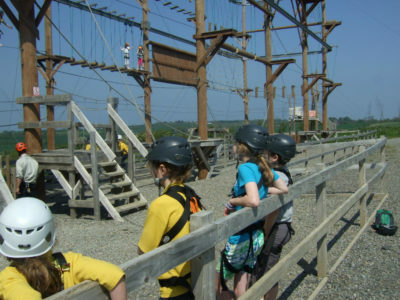 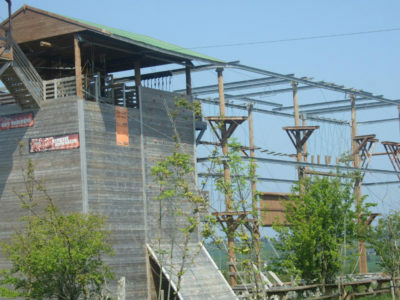 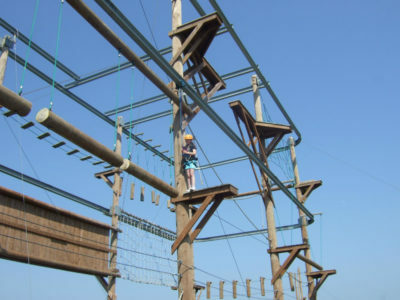 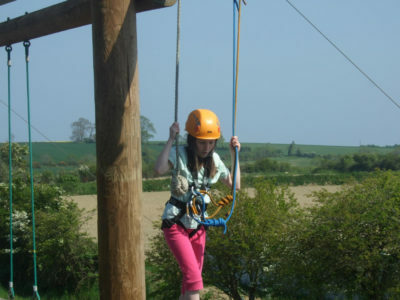 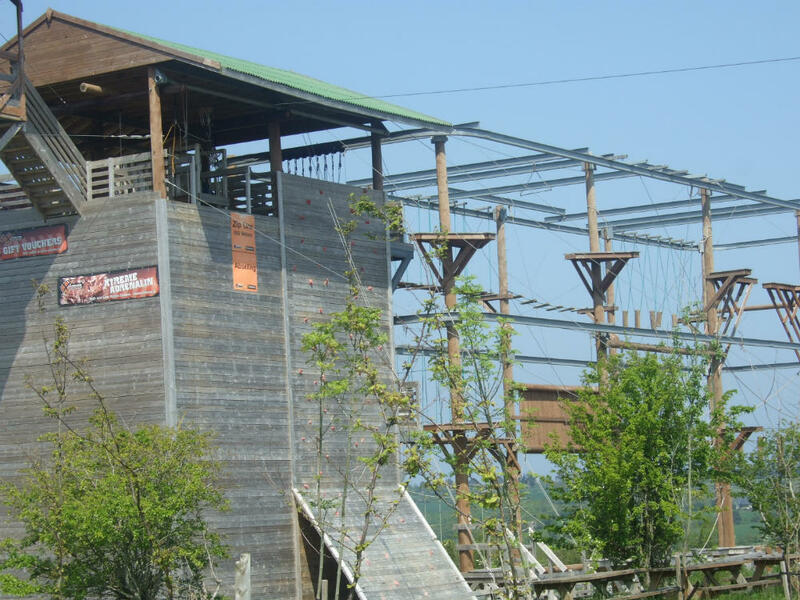 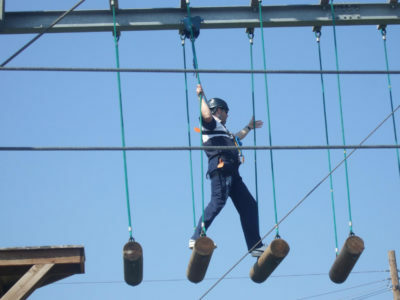 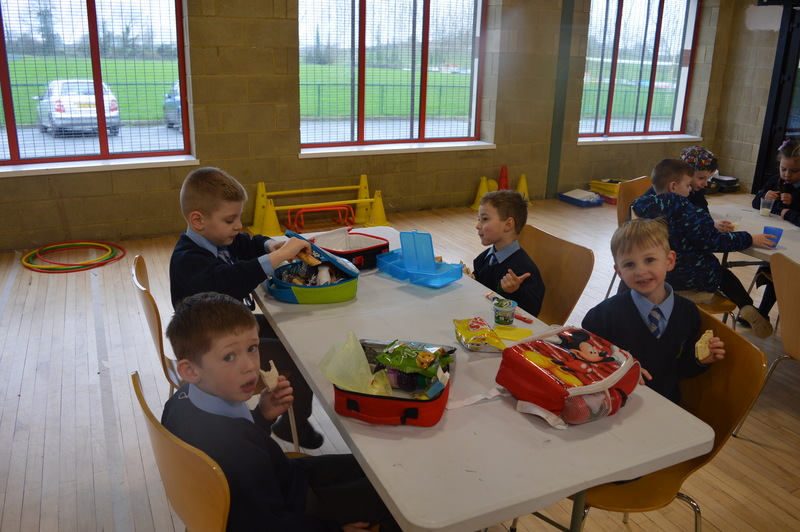 After playtime and lunch everyone was divided into teams and had fun playing different sport tasks and games. 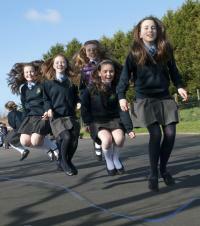 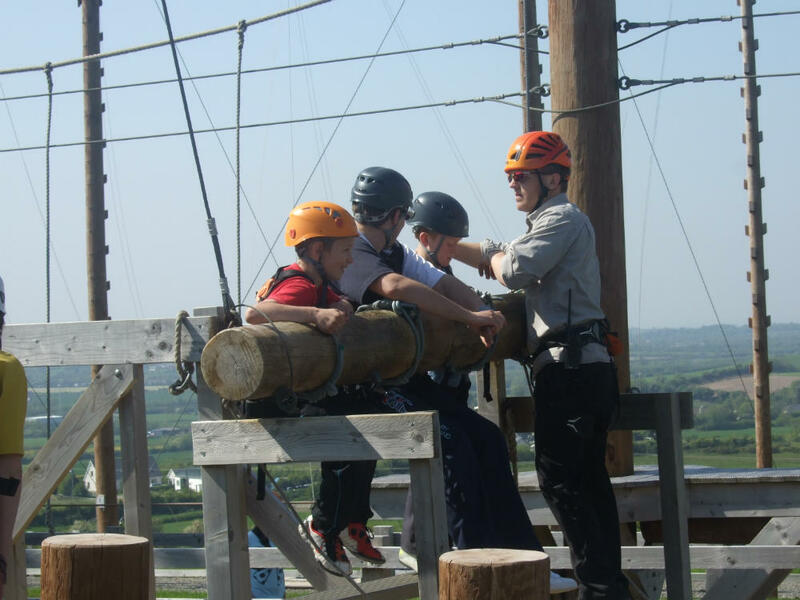 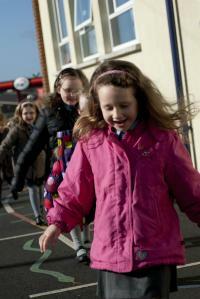 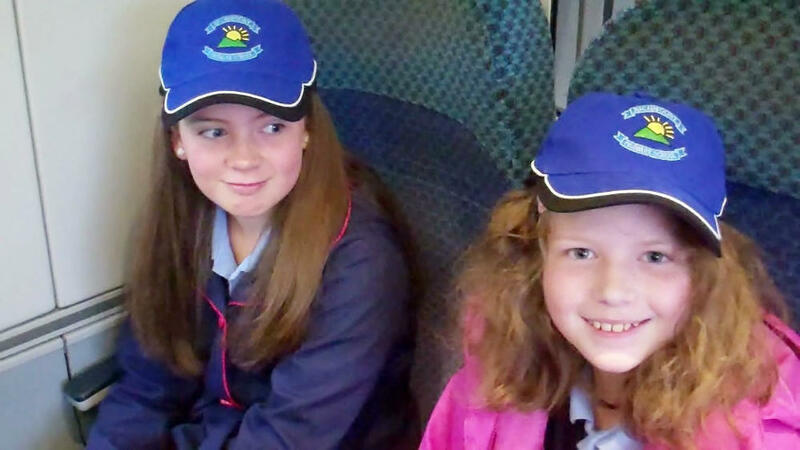 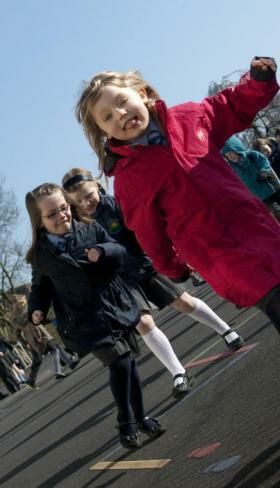 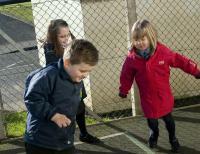 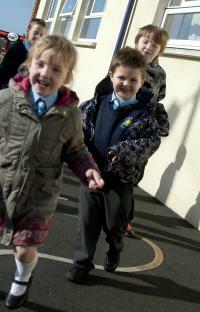 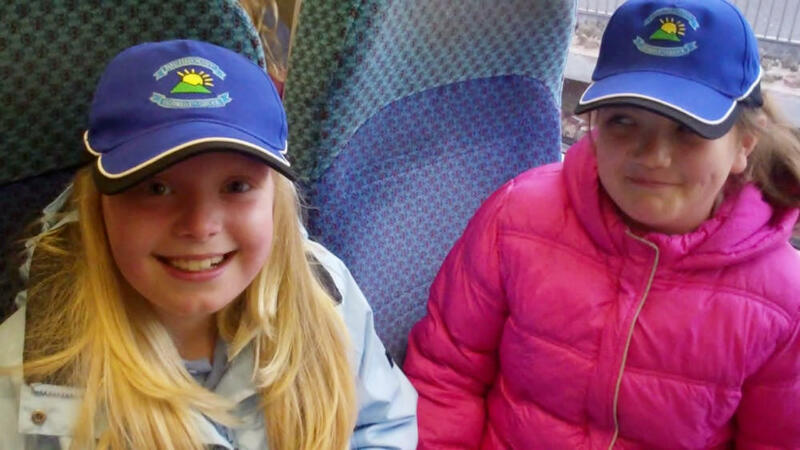 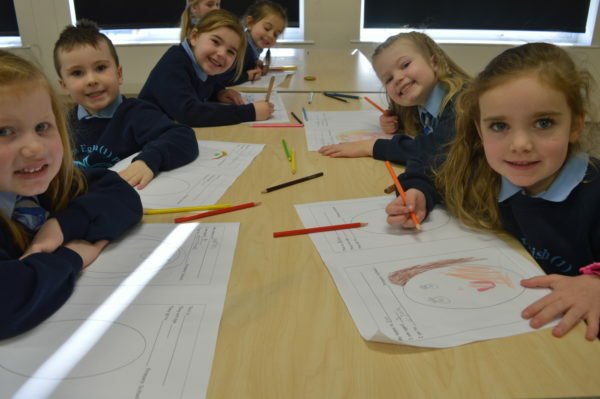 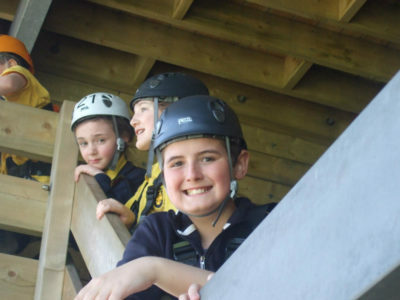 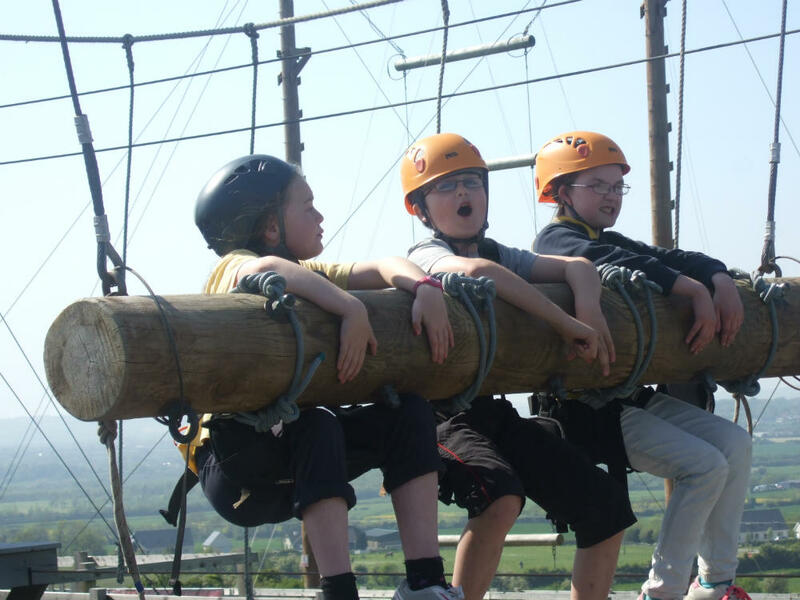 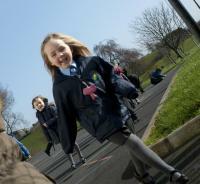 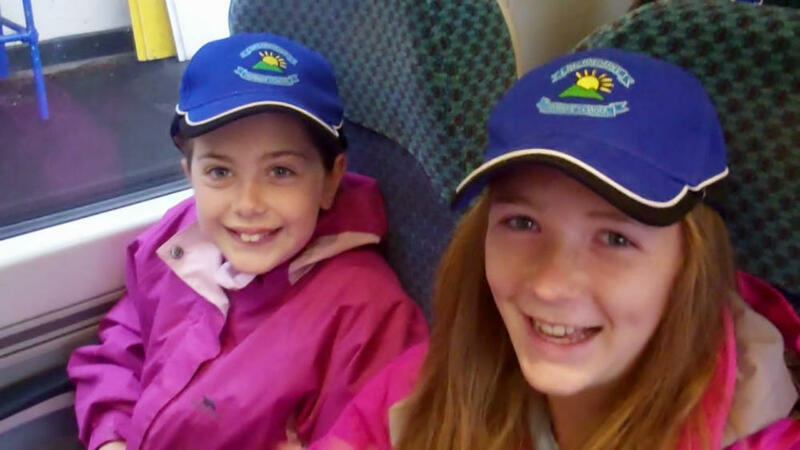 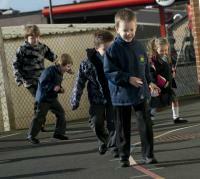 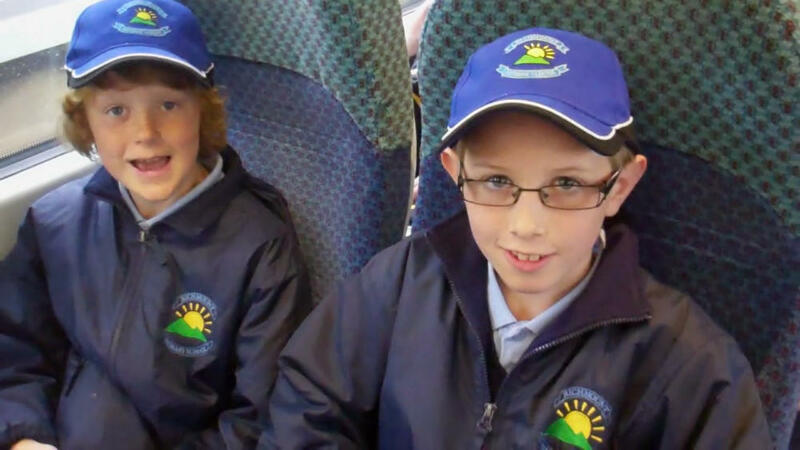 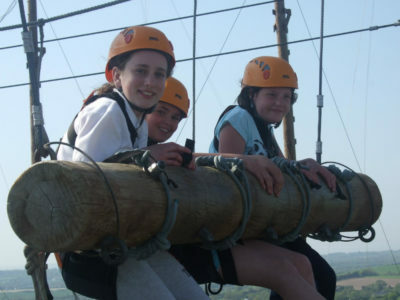 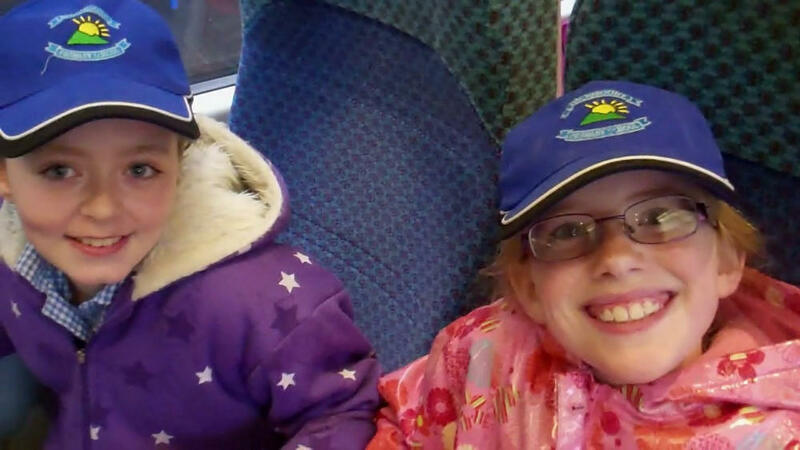 St John’s PS will be visiting Richmount PS next Tuesday for day 3 of their partnership programme. 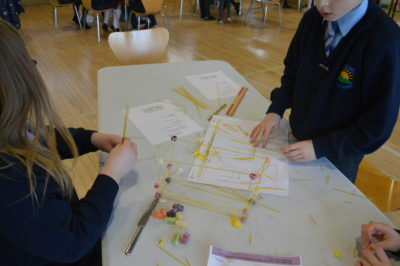 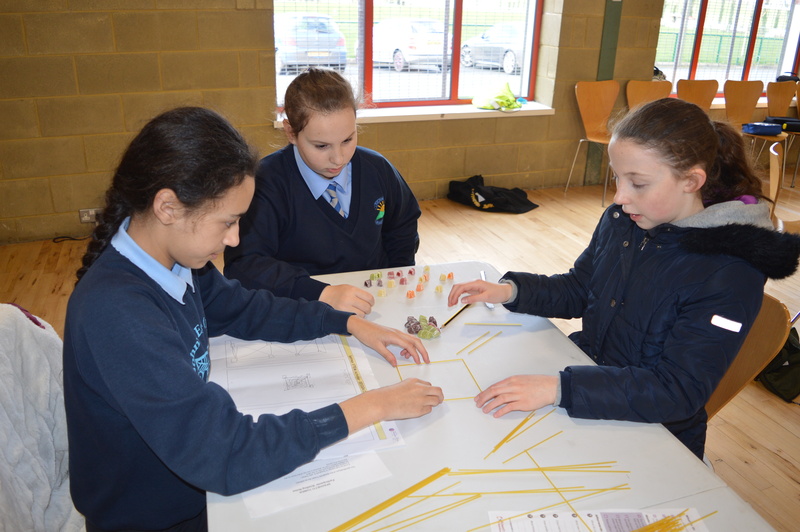 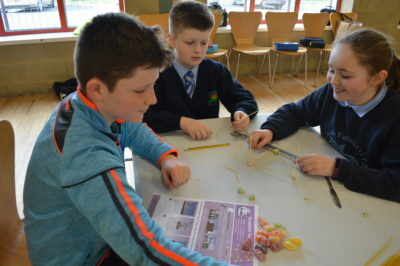 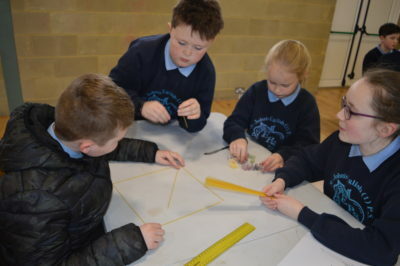 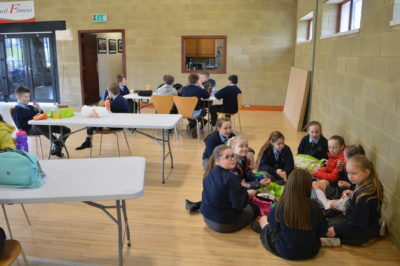 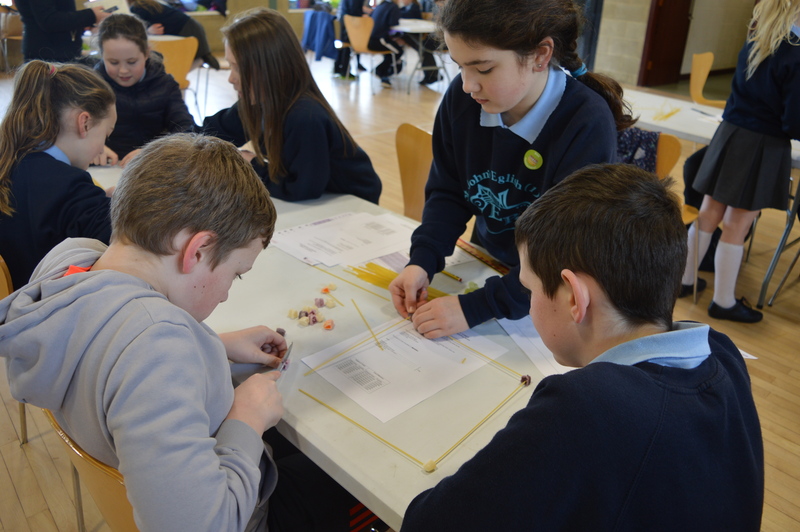 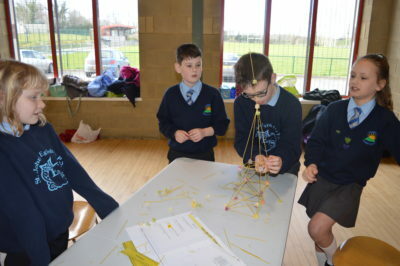 The P7 class of Richmount travelled to St Johns with Mr Clyde on Thursday 14th March to work on a problem-solving STEM Challenge to design and build a tower made entirely from spaghetti and jelly babies. 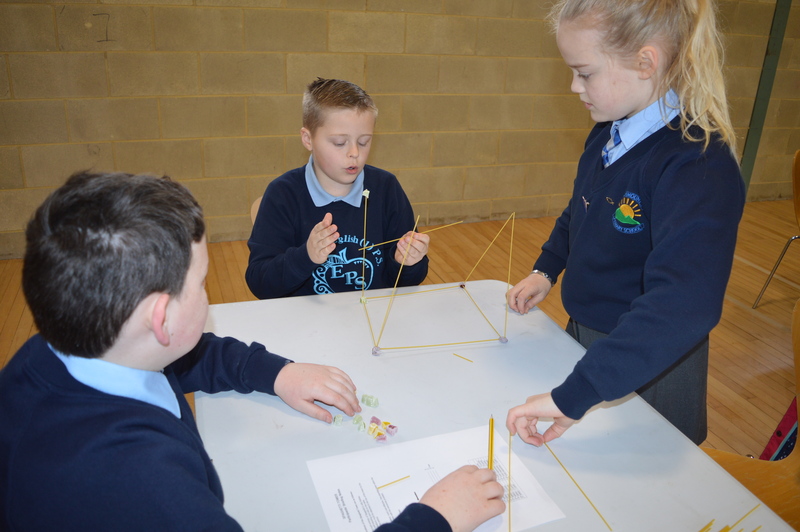 The challenge was to build the tallest tower which could self-stand using the least amount of resources. 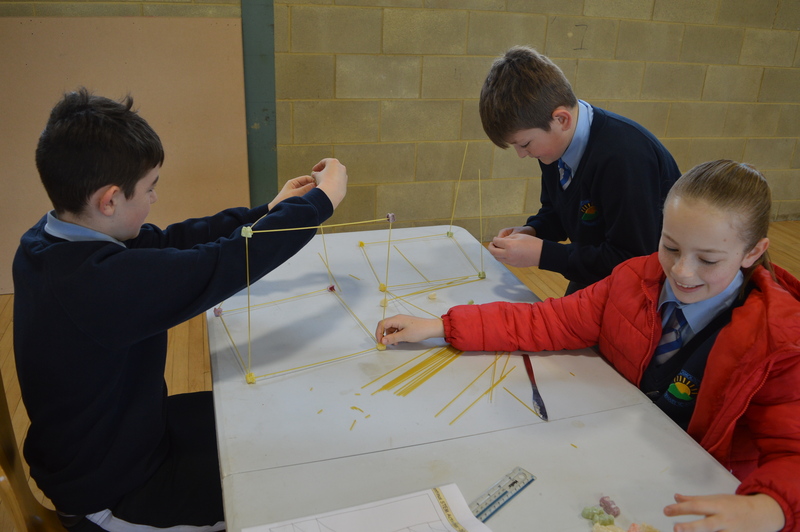 The pupils had a great time trying to keep their towers standing! The boys and girls are forming good friendships with their peers from our partner school and work well in groups to achieve success. 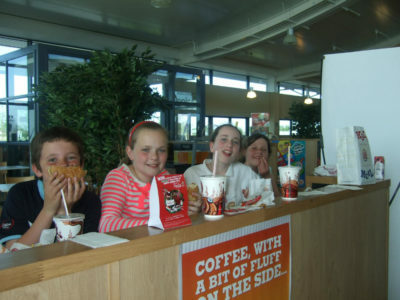 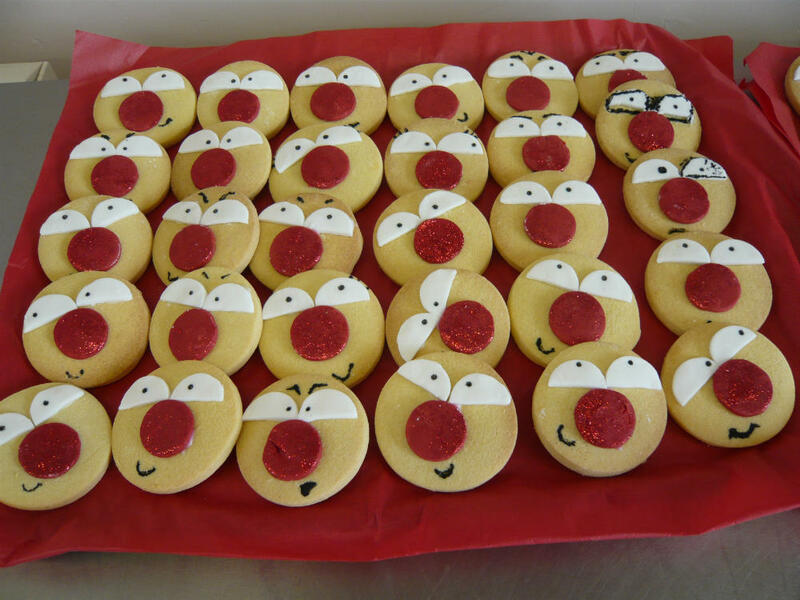 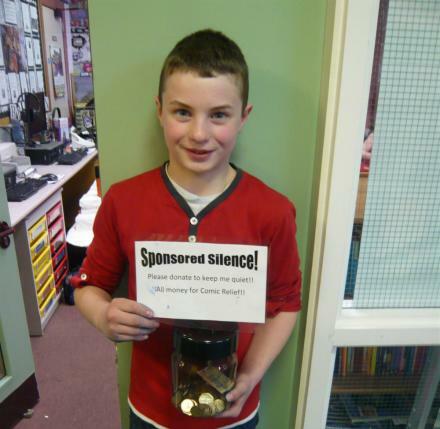 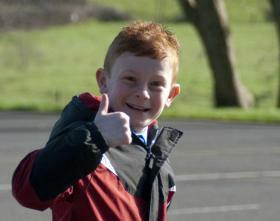 Matthew Parks, a pupil in P7, decided to raise money for Comic Relief by staying silent ALL day in school. 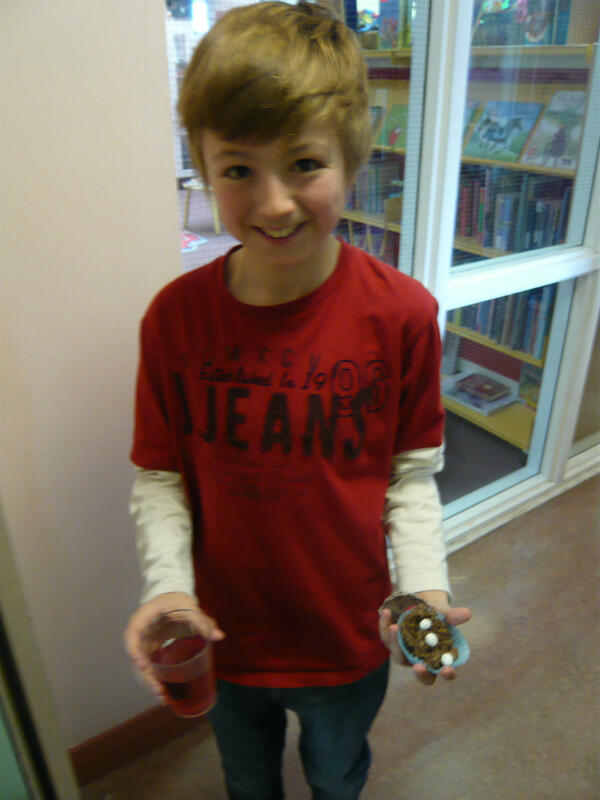 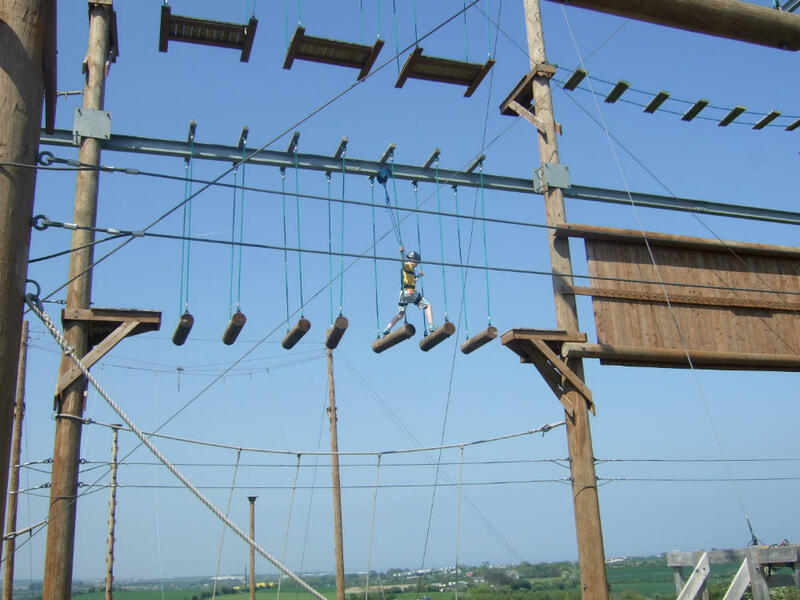 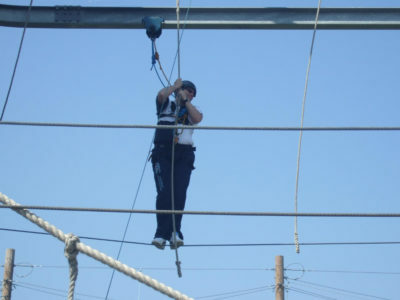 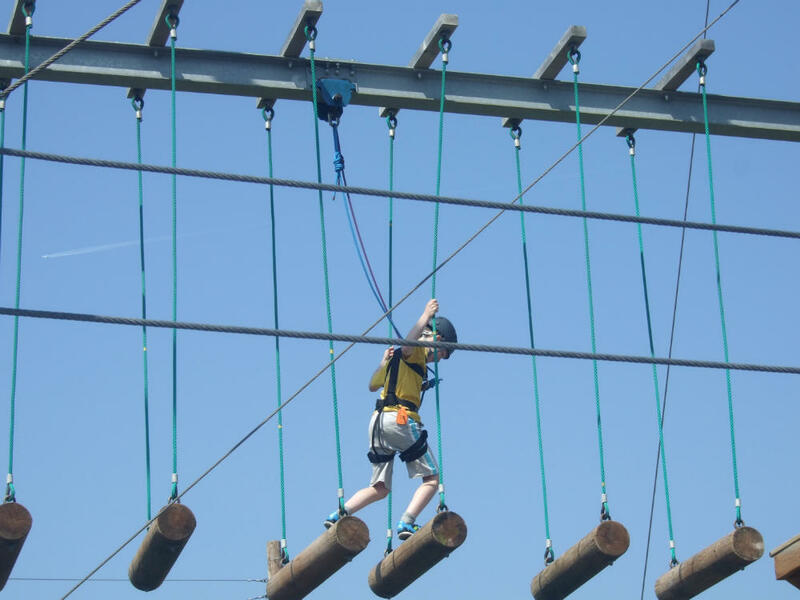 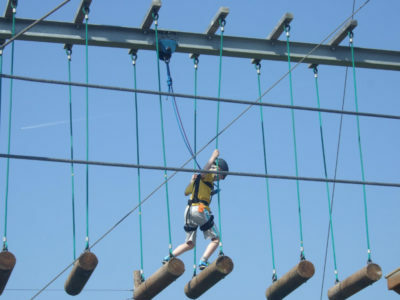 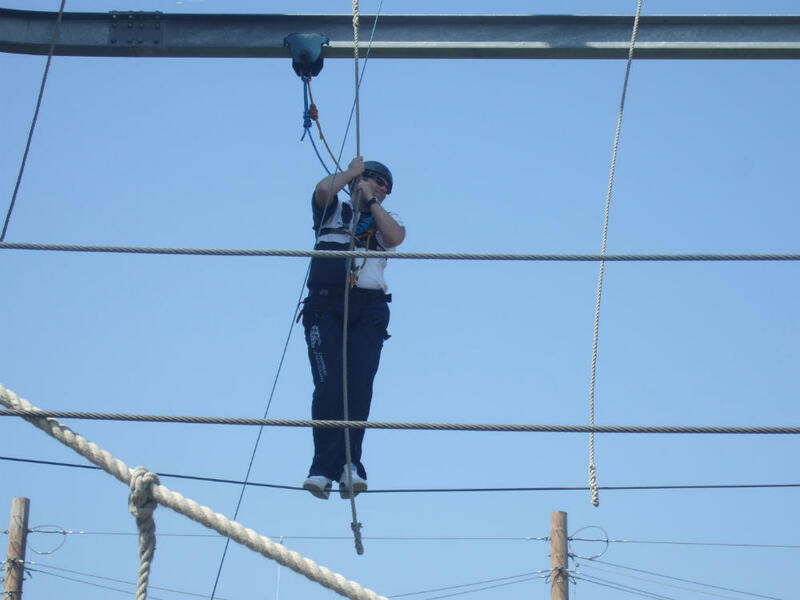 He managed to raise a fantastic £50.84 with the support of family, friends and school staff. 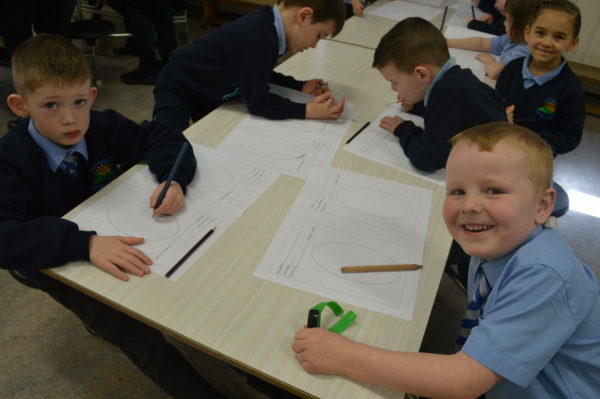 Mr Clyde really appreciated the extra ‘silence’ in class last Friday! 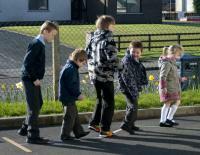 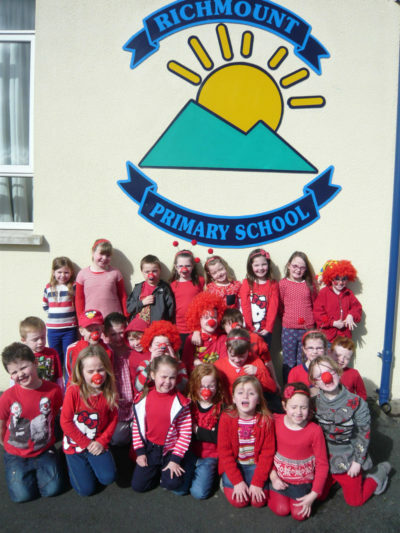 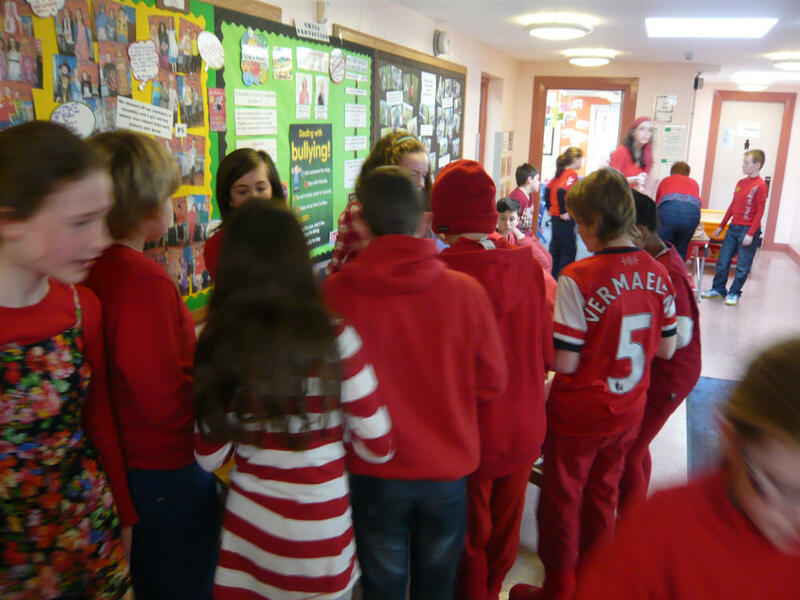 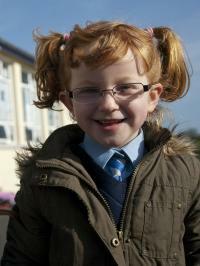 On Friday 15th March Richmount Primary School celebrated Comic Relief Day by coming to school dressed in ‘red’. 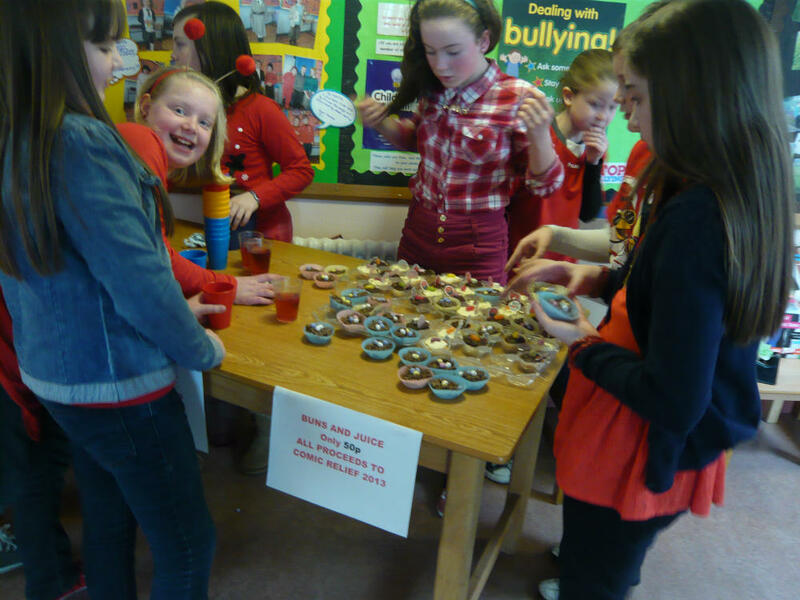 All pupils and staff made a fantastic effort to support this very worthy charity. 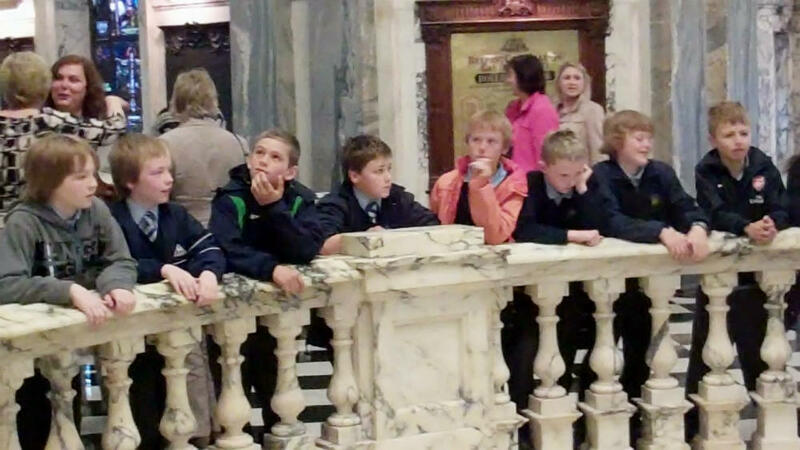 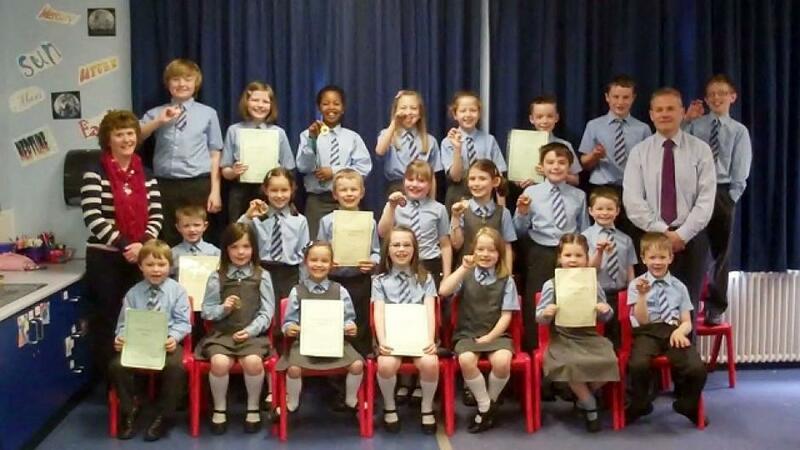 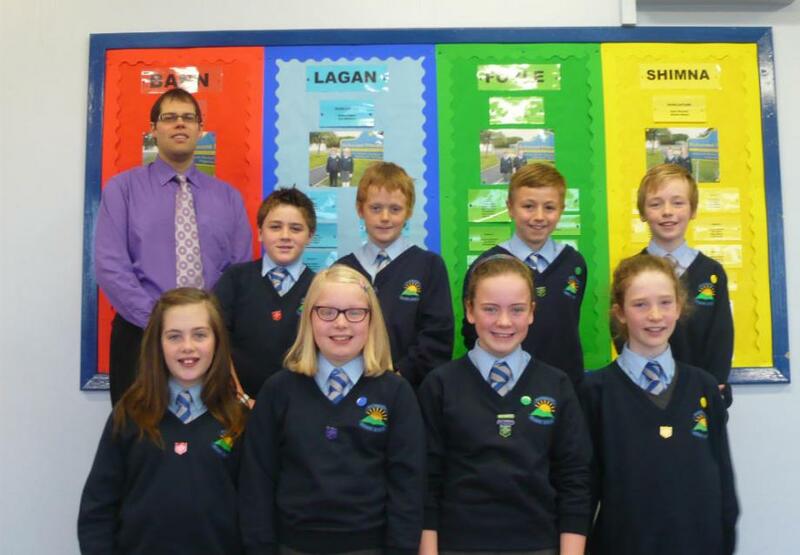 The pupils in P6&7 (along with Mr Clyde and Mrs Mehaffey of course!) 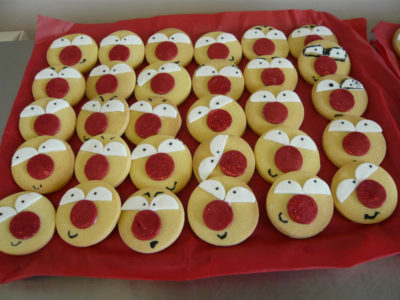 decorated. 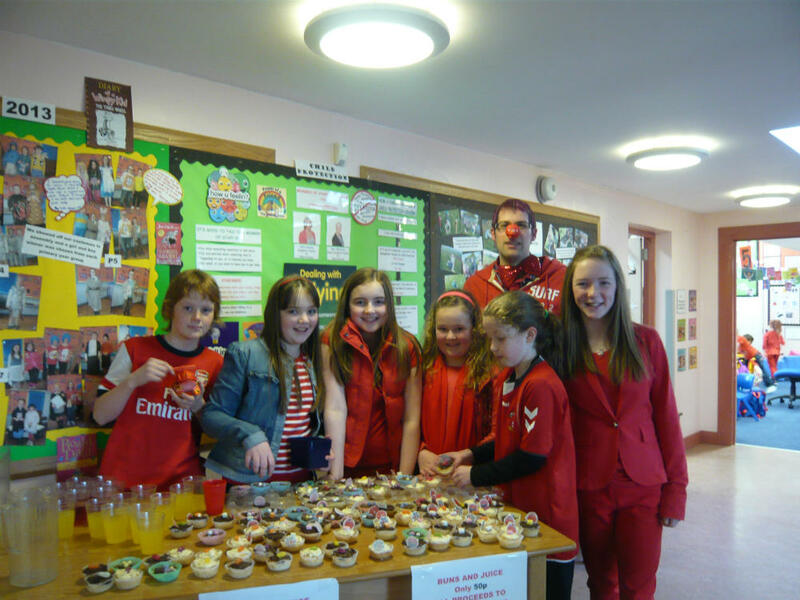 A massive £205.54 was raised by the school which will be used by Comic Relief to fund projects in developing countries around the world. 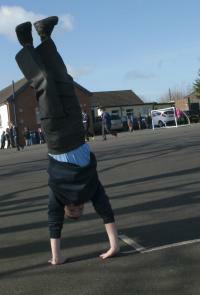 Also pictured is Mr S. Clyde, teacher in charge of the House system. 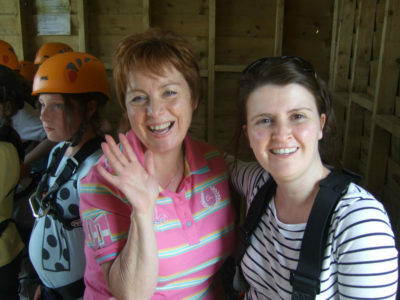 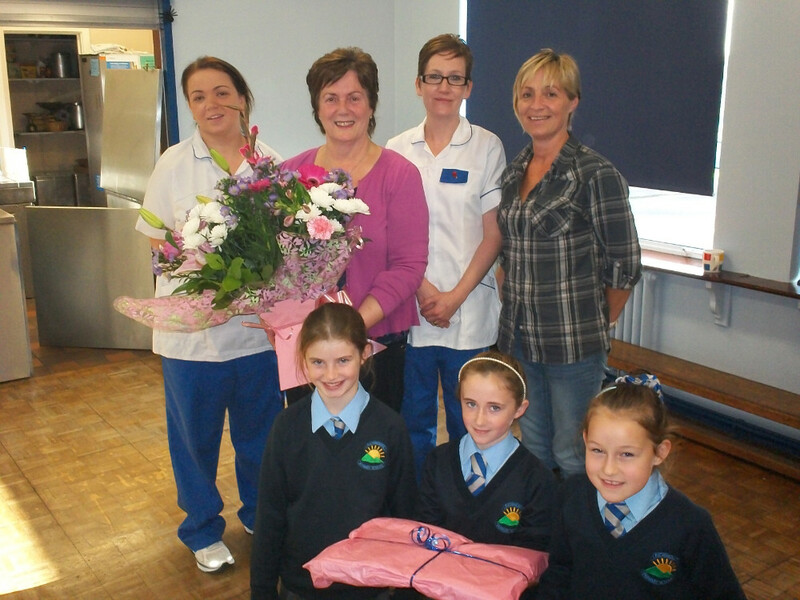 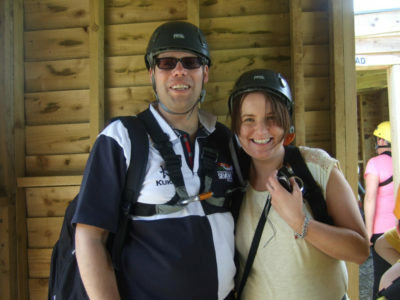 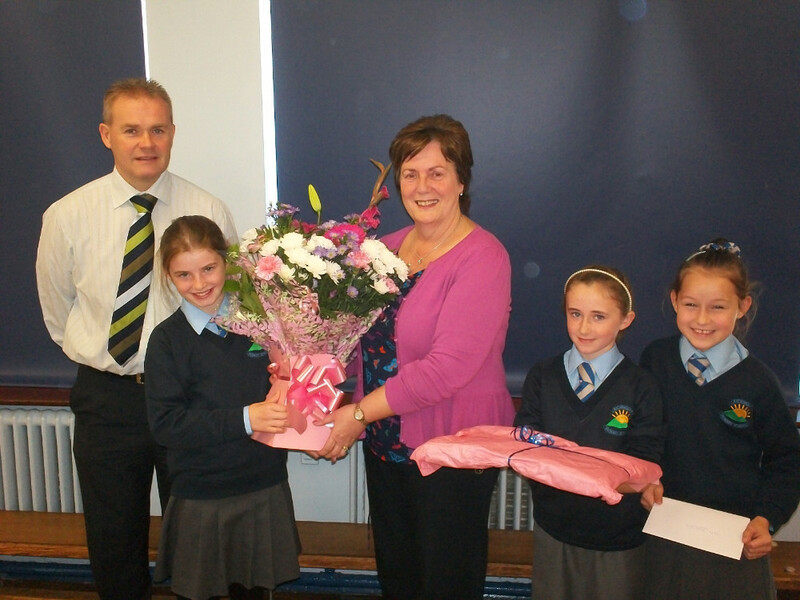 Mrs Wilson will be greatly missed in September by all in school as she has decided to retire. 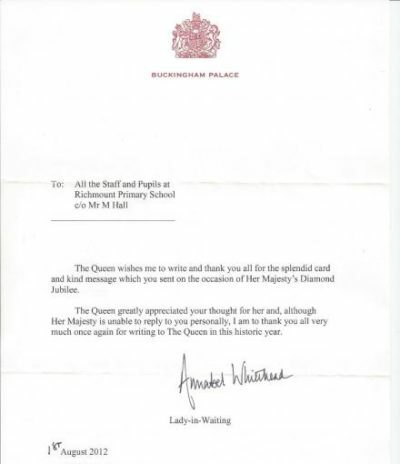 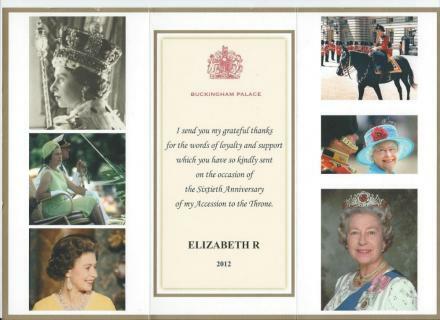 Everyone wishes her a very long and happy retirement to enjoy doing all the things she hasn’t had the time to do over the last 32 years. 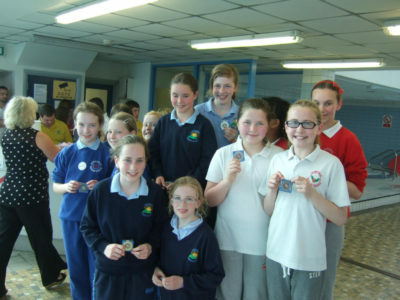 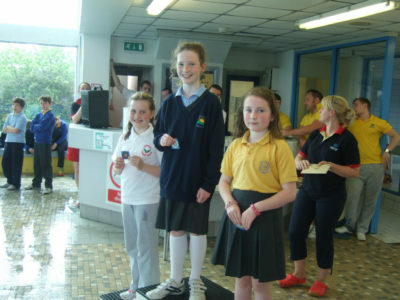 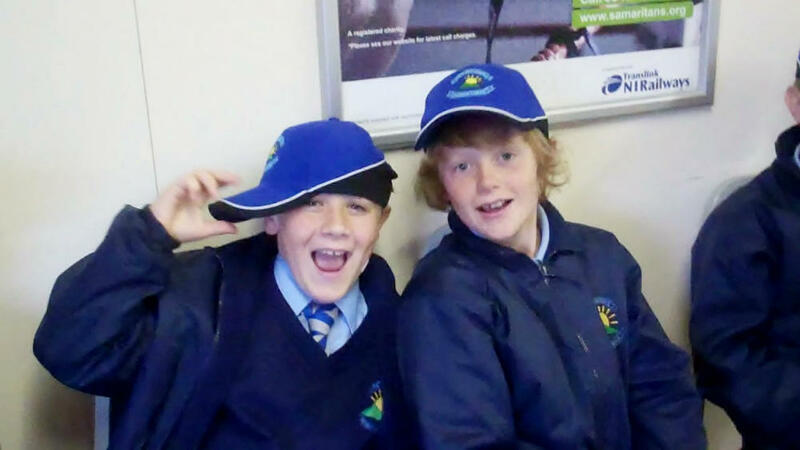 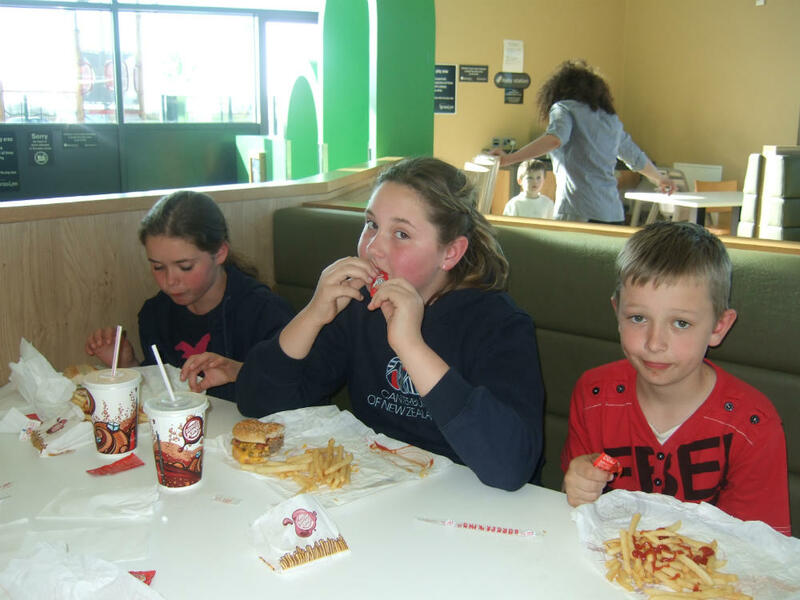 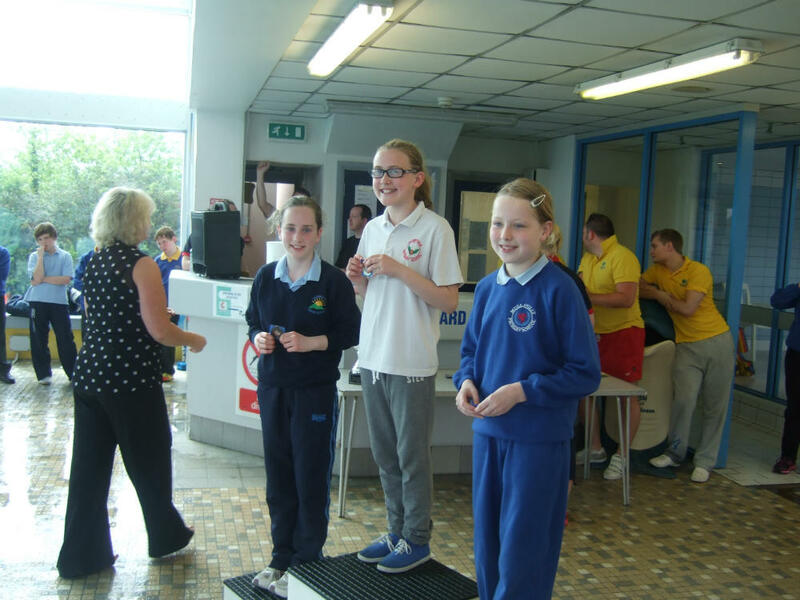 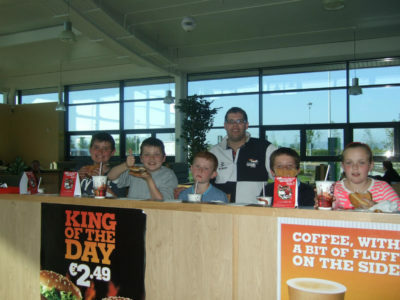 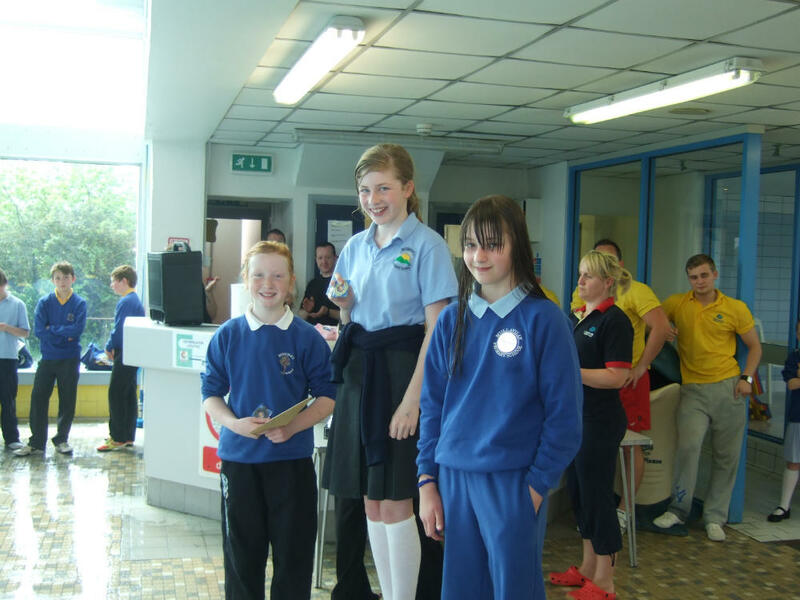 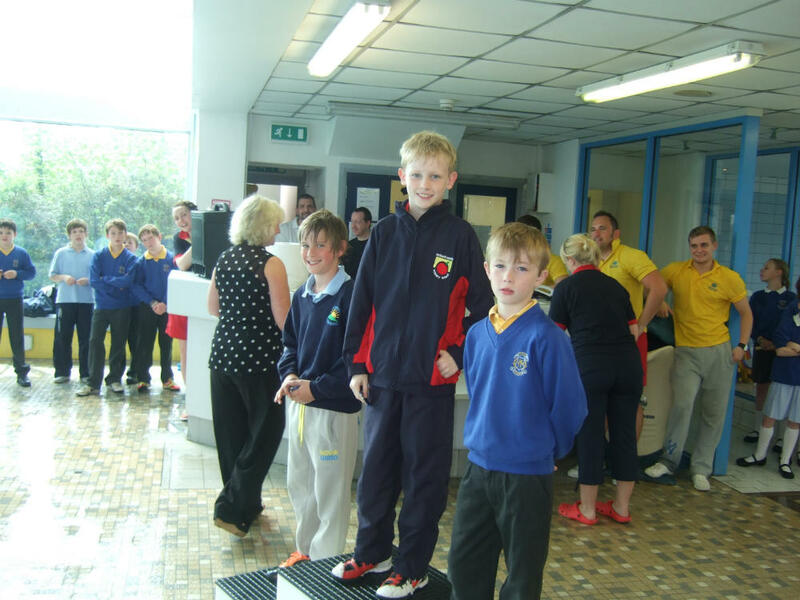 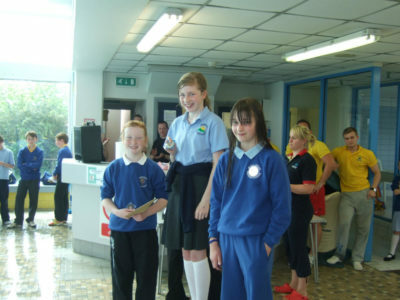 2012 Swimming Gala – Prize Winners.